Fendi reopened its luxurious flagship boutique at Ngee Ann City in Singapore last month. The elegant 156sq m store was designed by Peter Marino, who worked on all the brand’s flagship stores around the world. You will spot the boutique immediately from the recognisable Fendi logo forming a lighted-up glass design on the walls; shoes and bags are placed within this design to peek out coyly. Inside, richly textured walls of Roman Travertino, a travertine marble from Italy, stand over dark grey flooring of lava stone – the same that paves the streets of fashionable Rome. Using Italian material is Marino’s way of giving customers all over the world an Italian experience inside a Fendi boutique. The boutique carries Fendi’s ready-to-wear, fur, leather goods, shoes and sunglasses. 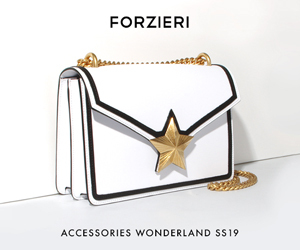 There is a wide range of handbags, from the luxurious, hand-stitched Selleria, the celebrated Spy, the B Fendi, the Fendi Forever range, the Magic Bag, Bag De Jour and Chef. Two other sections in the boutique are separately dedicated to the label’s shoe collection and ready-to-wear. And there’s a final touch of luxury: The changing rooms are extravagantly laid with fine pony hair carpet to pamper your feet! I would like to know if there is any Fendi store or flag store in Singapore. I don’t know if there is a speciffic Fendi store, but I found that at Paragon you will probably find many designer items, including Fendi.